When I asked you for help, you asked me for evidence. I have Bipolar II disorder. A quick internet search will reveal that this disorder is characterized by frequent cycles of deep depression and hypomania. It’s one of the hard-hitters. One of those disorders that people cringe at. It must be managed with the proverbial ‘big guns’ of psychotropic drugs–the ones that sometimes deprive you of all emotions–not just the bad ones. In addition to Bipolar II disorder, I have Generalized Anxiety Disorder and symptoms of Post-Traumatic Stress Disorder. Some days are simply unbearable. Some weeks are simply not livable. I also have guinea pigs. They’re my ResLife-approved “emotional support” critters and likely the reason that I’m still at Kenyon. I have and have always had a tremendous affection for animals. 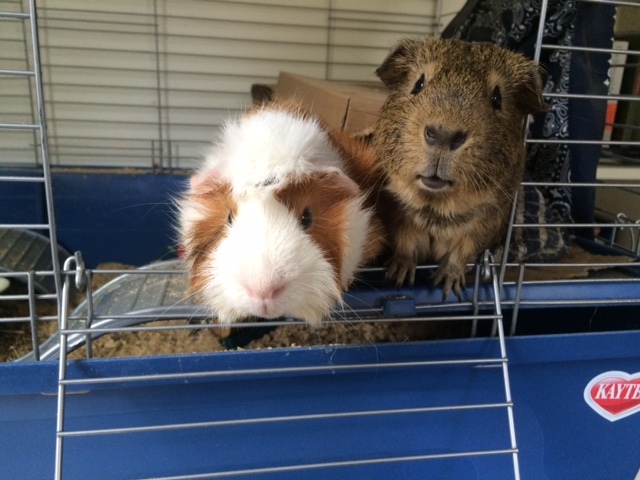 As a lifelong equestrian and an owner of many dogs, cats, horses, ducks, a miniature donkey, and now guinea pigs, I’ve had the privilege to discover that animals are my most effective therapeutic resource. Recently, my therapist recommended that I pursue permission to obtain an emotional support dog as a means of combatting my depression, my social anxiety, and my tendency to isolate–some of the most damaging and pervasive sub-symptoms of Bipolar II. She wanted the dog to be a buffer of sorts–to force me to go outside, and to take the pressure off of me in my interactions with others on my worst days. Remy (left) and Harold (right). I submitted documentation of my diagnosis from both my therapist and psychiatrist to ResLife, and was directed to Student Accessibility and Support Services to make my request. I was unaware that I would be subjected to an interrogation by the director–that the support I sought would be anything but accessible. After arriving 15 minutes late to our meeting, the director sat with her back to me, curtly asking preliminary questions while struggling to find my documentation. She wanted to know why I had never requested accommodation before, how I had made it this far in my Kenyon career. What was I doing post-graduation? Why would a dog help me anyways? If I didn’t have a suitable dog already, how did I know a new dog would be supportive? Did I know how cold it gets in January here? People don’t go outside at that time of the year, so how would that help my isolation and social anxiety? When I asked about my academic concerns, the director shrugged and told me there was nothing she could do. Extended test time wouldn’t help, and evidently, that was all she had to offer. She said she could talk to my faculty members. She didn’t. The conversation ended with the assurance that the director would speak with my therapist and psychiatrist for ‘more information.’ In other words, accommodation required a more substantial burden of proof than the diagnosis and my words could provide. I left the SASS office, eyes wide. Frustration would be accompanied by tears. Great, I thought, I love crying. I dialed my mom’s number as I emerged from Olin. She didn’t believe me, mom. I tried to hide behind my sunglasses, head down and could barely talk through the tears. When I finally collected myself, I reasoned that, perhaps I had been over-sensitive. Nonetheless, I spiraled into several days of deep depression. A week or so went by, and the director finally reached out to my therapist. As far as I know, she never contacted my psychiatrist. When I arrived at my next appointment, we discussed their conversation. The director hadn’t believed me that the disorder could be debilitating. She needed to hear it from a professional that didn’t have the disorder. The director said she had a pile of similar accommodation requests on her desk, but I was the only student to request a dog. We’re setting precedent, she said. You can only imagine how comforting it is to know that your mental health comes second to policy. The director asked, Why doesn’t she just bring her horse to school? in a massively classist assumption about my economic capacity to afford to do so. And perhaps her worst remark, this time concerning my appearance and wardrobe: She just looks too nice to be depressed. Read: she is an inadequate performer of her mental illness. Kenyon, you should be ashamed. Mental illness is not a performance. It is my lived reality. Yet I feel a strange conflicting pressure. On the one hand, I feel like I need to engage in a sort of relentless performative sadness to be taken seriously, for people to understand that I really am depressed and that each day – each moment of each day – is a struggle for me, that even when I am happy, I am still fighting the monster. I feel like I need to darken everything around me, to stop communicating with the world, to stop publishing anything, to just stop. Because that way I will appear suitably, certifiably sad, and thus, depressed – and then maybe people will recognise that I’m depressed and perhaps they’ll even offer support and assistance. Though the Student Accessibility and Support Services’ webpage purports to provide support for all types of disabilities–mental or physical, they treated me dismissively and with suspicion. Under the Americans with Disabilities Act, Bipolar II disorder (among other psychiatric disorders) is considered to be a disability. However, my interaction with the SASS office resulted in neither support nor accommodation. They denied my request. I encourage you to peruse the SASS page on the Kenyon website. You’ll find that their treatment of my case is utterly antithetical to their mission statement. I will not apologize for dressing well and succeeding academically in spite of all my mental illness. I will not walk into any office on campus and weep while I describe the destruction it has wreaked on my life. I encourage the Kenyon community to think deeply about the way it treats mental illness and whom it allows to handle such accommodation requests. My experience indicated that the director had no or little training in such issues. Unsurprisingly, she succumbed to the normalization and stereotyping of mental illness. As a result, I maintain that her persistent disbelief in the severity of my disorder and ultimate decision to put precedent before my well-being is actively harmful. We might do well to conclude this letter with a call to arms of sorts, a challenge if you will. Mental illness will never easily conform to bureaucratic standardization. So, Kenyon, I challenge you to adequately and respectfully accommodate all disabilities–even the invisible ones. The burden of proof is now in your hands. Wonderful. Thank you for sharing. This is a common struggle at Kenyon that isn’t widely acknowledged or supported. I wish you nothing but the best and thank you for fighting. I got put on academic leave after a suicide attempt…Kenyon mental health could use some work. I’ve had lots of trouble with SASS too– I find that the director favors certain students, and will go farther to help some students than others and give better accommodations to favored students. I have left the office in tears more than once when the director has made ignorant comments about my learning disability and mental health. It’s very discouraging, but I’m glad that I am not the only student who has had issues with SASS. It’s not a good thing, of course, but it’s nice to know I’m not the only one. I have heard too many similar stories. Kenyon purports to be mental health friendly, and there are many many student doing everything they can to help, but in terms of the SASS, it’s useless. Something needs to change. Thank you for sharing. I undoubtedly bet that someone in administration will say, “Don’t just complain, do something!” But we are. We’re struggling every day to just exist and that office exists to HELP our everyday existence not make it harder. Going to the SASS is supposed to be the thing that we “do” to get help. When it doesn’t work, how are we supposed to know what to do? Outside of the ADA, the Fair Housing Act makes it illegal for the college to deny your request is supported by documentation by a mental health provider. Do some googling then go see ResLife again with your knowledge of this. They cannot deny you, or they could be sued. You would win. Case law supports this exact thing. As an alumna who had very similar experiences, I’m sorry to hear that Kenyon hasn’t improved in this capacity. I’m currently at a large university and the difference in support levels is stark; of course, larger schools have more resources but small schools are supposed to have “community” and give individual attention. They’re supposed to care. It’s hard enough to have Bipolar Disorder without having to deal with the rest of the world’s misconceptions about it (let alone the inevitable co-morbid disorders!) and I’m sorry this person was so repulsive. Thank you for writing this (and writing it so eloquently). It’s something the school needs to understand. Thank you so much for sharing this. This was part of the reason I left Kenyon 2 years ago. You are a brave soul and my hope is that Kenyon Health facilities will see this and see the impact that their lack of understanding and consideration really impacts their students. You are brilliant and beautiful! I wish you the best of luck in your endeavors! It would seem as if the SASS is better equipped at dealing with physical illnesses than mental ones. I know I was late to the game in asking for accommodations and the director asked me the same thing about why I hadn’t asked for them sooner. A student who goes to the SASS for accommodations shouldn’t be treated with suspicion, they should be praised for getting the help that they need, even if they seem to have been fine without it until this point. How a person acts in public much seem fine, but behind closed doors you have no idea what they are struggling with, and for how long they can keep doing so. I lack the words to express how much appreciate you writing this, so all I can say right now is thank you. Thank you a million times. You are brave. Thank you for continuing to fight (even though you shouldn’t have to) for the support you deserve. Thank you so much for writing this. Kenyon’s treatment of this is appalling. My sister also has Bipolar Disorder and eventually had to drop out of college because of how debilitating it was for daily life, operating under the same standards as everyone else. Treatment of this within the college must change. Thank you for your incredible courage in sharing this. Kenyon has mishandled my mental illness and the accommodation process as well, and many of my disabled friends share this experience. You are not alone in this. It’s time for systematic change. Yes, thank you. I am a person with type 1 diabetes, a disorder which is considered by the majority to be covered under the americans with disabilities act. When I went to Erin Salva in the office of disabilities to discuss reasonable accommodations that my professors required me to have in the event I experience a low blood sugar and need to wait at least 30 minutes until I’m capable of testing at a reliable level, she denied these accommodations claiming that Kenyon did not need to comply with the act because Kenyon is a private college. I had to take a few hits to grades for missing a few classes and turning assignments in late, but so it goes. I was previously diagnosed with bi-polar. I took a semester off and graduated in 4 and a half years. I know your struggle. I do not know the specifics of your meetings with administration, but I’m sorry to hear they did not go well. Two things that might be a concern are public safety and public health. A dog might bite or harm members of the community and the school could be held liable. If you are living in a large dormitory like Mather or Old Kenyon, you might trigger allergic reactions from other students. I love dogs, but I am horrendously allergic to dog dander. I hope that you find more coping mechanisms. I hope you join more extra-curriculars. I hope your Kenyon experience is a better one than it currently is. Thank you for sharing your story, and bringing this call to action. I transferred out of Kenyon for a variety of reasons, some regarding the mishandling of mental illness. While I was at Kenyon, I felt incredibly alone in this struggle because its not something that is talked about enough. I would only hear positive comments regarding counseling services or SASS and my negative experience made me feel even more ostracized than my mental illness did on its own. I also have a physical disability, and while SASS was helpful in getting accommodations for that, their communication with my professors was not what it should have been. Again, thank you for sharing. You are brave for doing so. I hope things get better, and I’m sorry this happened. You deserve so much better from Kenyon! You are heroic to so openly and vulnerably share your experience with so many. There is so much misunderstanding or lack of willingness to even want to understand how mental illness changes every single moment of a person’s life, often with unpredictably. You must stay strong and fight on. Time to organize your friends to do one of those sit-ins demanding that not only appropriate but excellent mental health services be offered to you and your classmates without any delay. You deserve nothing less; demand even more. Thank you so much for sharing. I, too, felt enormous shame and belittlement after seeking help for my disability while at Kenyon. I ended up transferring schools as a result, but looking back I realize that Kenyon’s administration viewed me (and other mentally ill students) as a legal liability and wanted me removed from campus as soon as possible. If you do wish to pursue legal action, then note that there is a statute of limitations in Ohio that shields Kenyon from most lawsuits… just something to consider. I really hope that you are able to get the help that you so much deserve. I would like to clarify that my stating this distinction does not mean that I do not truly feel for you, Annaliese; I really and truly admire your courage to speak up about this very important issue. I just believe that in order to have an open and productive dialogue, everyone should be on the same page as to what an Emotional Support Animal is, as there is often confusion in regards to specifics. I had the same experience with Erin Salva. 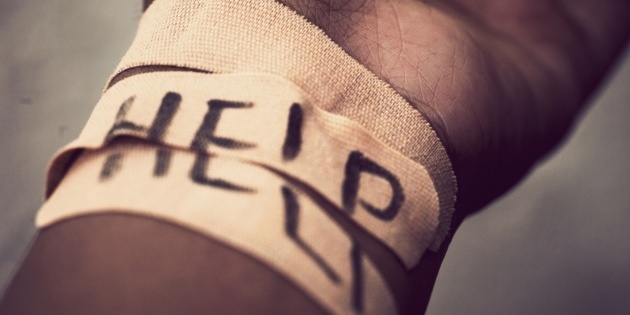 The way she treated me after my suicide attempt is the reason I dropped out of Kenyon.